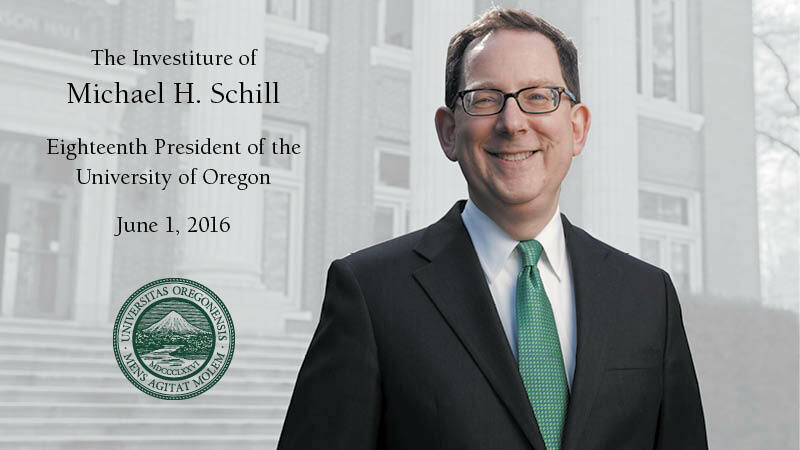 Renowned academic leader and Columbia University professor Jonathan Cole will anchor a panel discussion about the future of public universities as part of the day-long activities for the investiture of UO President Michael H. Schill. The panel discussion among national higher education leaders will take place the morning of investiture, June 1, from 9:30-11:30 a.m. at the Knight Law Center. It is free and open to the public. Cole, who will deliver the ceremony’s keynote address, is the John Mitchell Mason Professor at Columbia, a former provost and author of "Toward a More Perfect University" and several other books on higher education. His latest work looks at ways America’s great universities should evolve in the decades ahead to maintain their global preeminence and enhance their intellectual stature and social mission. Gene Block, chancellor of the University of California, Los Angeles, and UO alumnus. A champion of public universities, Block serves on several leading national associations and advisory boards, including chair of the Council of Presidents of the Universities Research Association. Jamienne Studley, former president of Skidmore College and former U.S. deputy undersecretary of education. A higher education policy expert, Studley played a senior policy role on issues such as the College Scorecard, accreditation, access, affordability and completion, racial and sexual harassment, student aid, and federal higher education grant-making while at the U.S. Department of Education. The panel will be moderated by Lisa Heyamoto, instructor in the School of Journalism and Communication, and will include another UO faculty member. Schill said he is eager to offer a chance for the campus to come together and discuss the opportunities and challenges facing the modern public research university. Block also will deliver the keynote speech during the investiture ceremony at 2 p.m. in Matthew Knight Arena. The ceremony will be followed by a reception at 3:30 p.m. at the Ford Alumni Center with Schill’s signature foods: cookies and kettle corn. Reservations are now closed for regalia, but faculty, staff and students are still encouraged to participate in the day-long investiture activities, including the panel, processional, investiture ceremony and reception. More information is available on the investiture website.